I’ve said it before, and I’ll say it again . . . you are my patchwork Goddess ^^ This is so stunning. Just makes you want to snuggle up into the warmth of those vibrant colours and swirls. Absolutely beautiful work Avis. Hi Avis! 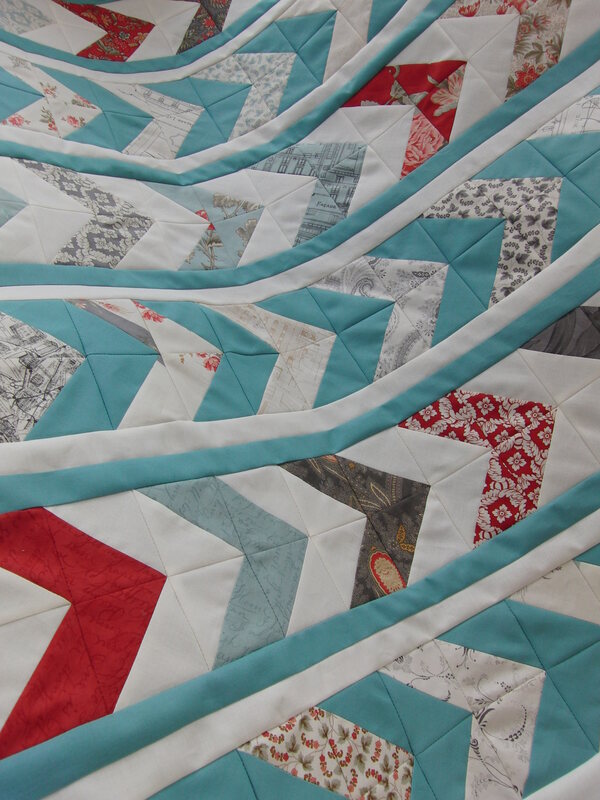 This is so beautiful and I love the wavy quilting! I can’t even imagine to quilt something so big and with the machine. We hove these colours today on the sea and sky. 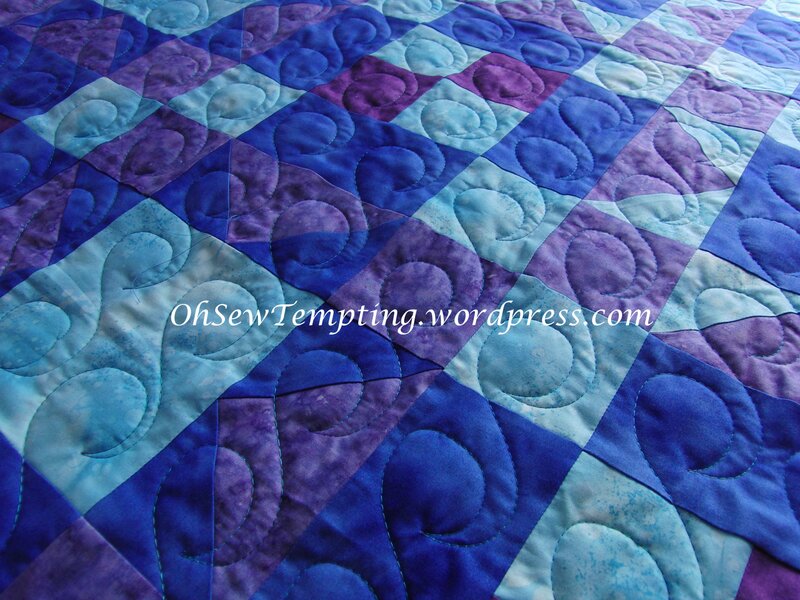 Gorgeous colours Avis, and the quilting completes it beautifully. Thank you Mtetar. I don’t have tutorials ready for these two blocks but after reading my previous tutorials below, I’m sure you would have no problems making the the ones in this quilt. They are all very similar. 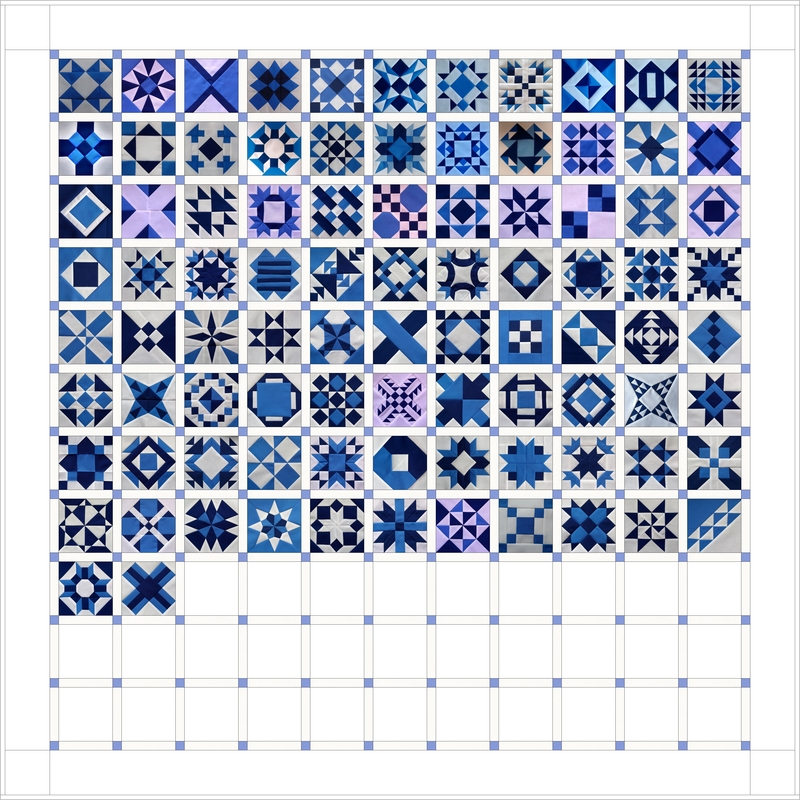 I wrote one part for each block so it walks you through the whole quilt construction. Enjoy! Oh I’d love that to happen 😀 I just use every spare minute I can to sew something. Thank you! Wow – I love it – you did a fantastic job! 🙂 I love the quilting too! 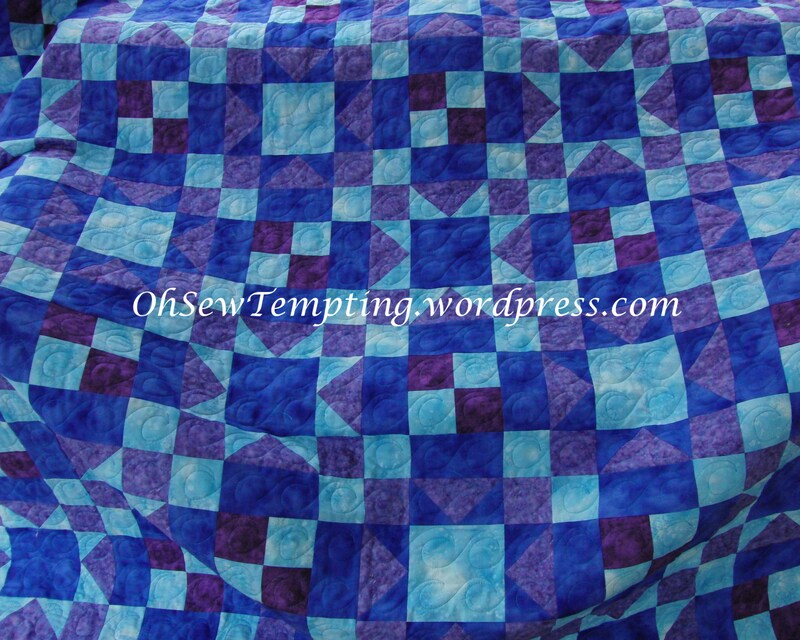 This is a large quilt – congratulations on quilting the “surfy” pattern on the lovely ocaen colours of the quilt. My colours too Avis. It looks wonderful. 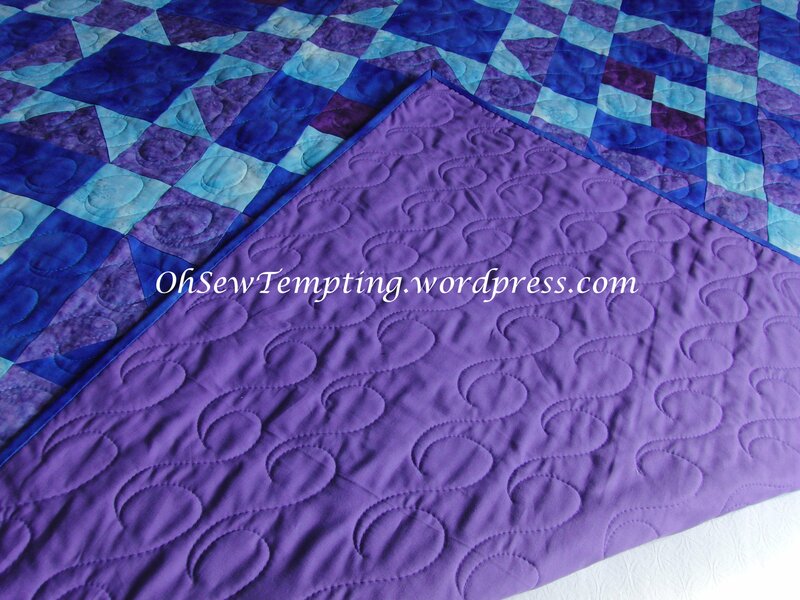 The machine quilting is just perfect for the shades you chose. It was well worth the effort to machine quilt such a large project. 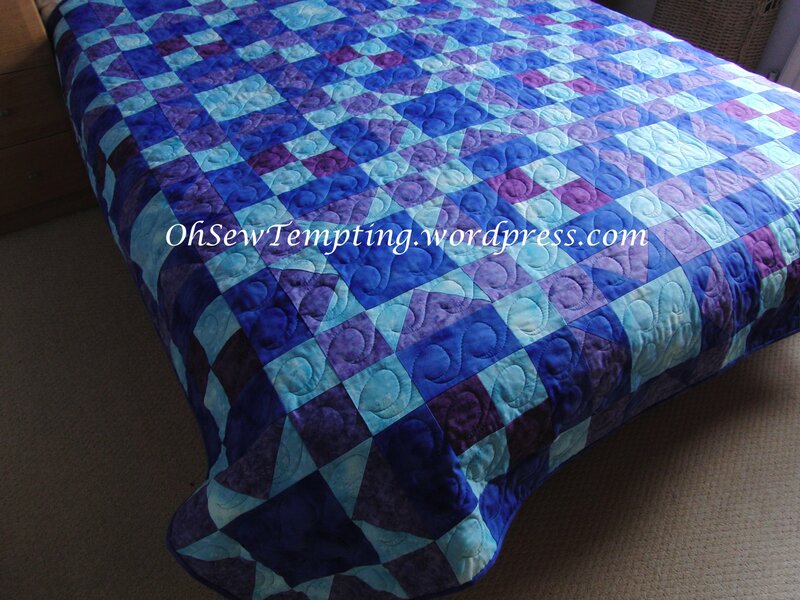 I agree with claire93, you are a quilting goddess. I love looking at your projects, they are always in such beautiful fabrics and the designs are brilliant. 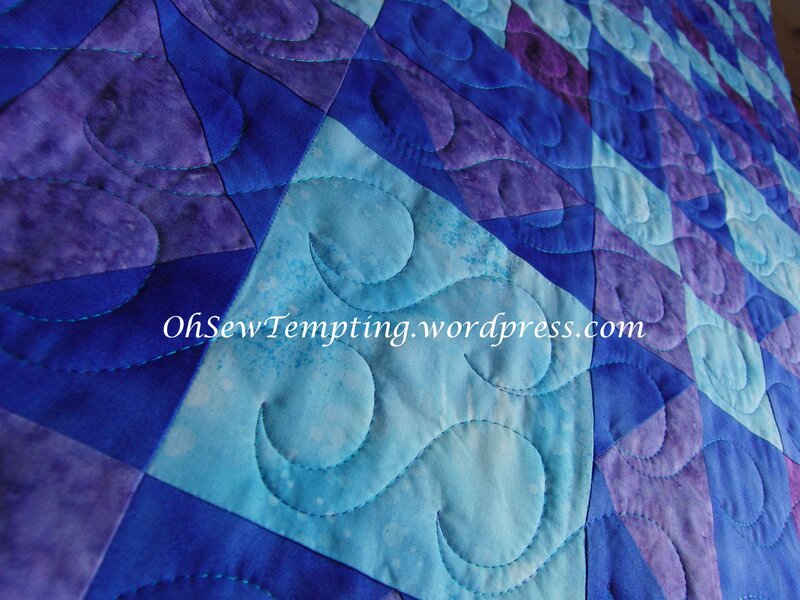 Your blog certainly makes me want to get the machine out and start quilting. Great job, Avis. The blue/purple hues are wonderful! Your color choices are beautiful. I love to see your quilting, it inspires me.